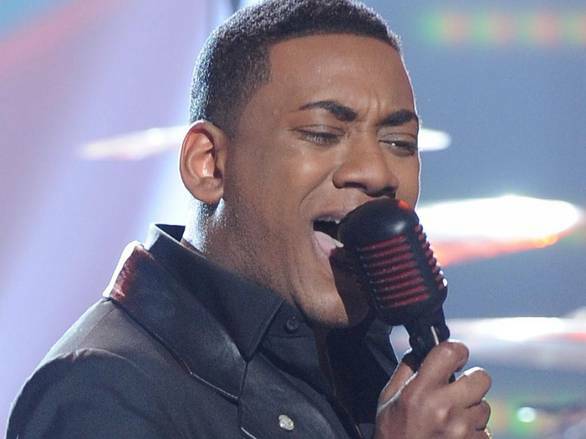 To give justice to Joshua Ledet's extraordinary performances, and since I have already made posts of Jessica's and Phillip's performances, it is just right that I would do the same for Joshua. They are after all the remaining top 3 contestants in American Idol Season 11 after Hollie Cavanagh got eliminated tonight. He is the top contenders of the season and is most beloved by audiences after gaining one of the highest votes. His performances have so far made an overwelming 12-time standing ovations. Even Jessica Sanchez couldn't even match that. Although I have to say his only problem is his marketability for his genre. He may sound very gound, but I don't think his 1960's sounding voice would make it to the pop scene. I maybe playing bitter here, but that's just me. He is definitely the one that Jessica has to look after if she wanted to win this contest. He is another powerhouse vocalist and certainly is a great threat to the other two who belonged to the top three. This is so hard sometimes.